"Chuseok" (Thanksgiving day) is actually "Mid Autumn Festival". 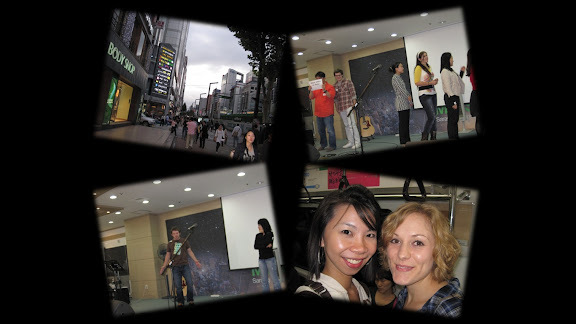 In Korea, this is a big event and there is 3 days of public holiday. Every Korean returns to their home town in this period. And PH starts from 21 - 23 Sep. I was pretty fearful that i will have nothing to do. And since nobody would be home, i just didn't want to stay at home alone. "Who cares if you spend Chuseok alone?" (1) If Chuseok was a sort of holiday in Singapore, i am sure i will be spending it with my family, this is my assurance. I made my own plans but the weather was not on my side, really. It was raining cats and dogs yesterday, the first day of Chuseok. Heard that there was some flooding going on in Hongdae station. One day, the weather can be 33 degrees and the next it can be 18 degrees! This is what you call crazy weather! So I had to cancel my plans to Namsan Hanok Village due to the bad weather. Today's tour menu was to Cheonggyeonggung, 창경궁 (It is one of the many palaces)- there were some photo-taking with people dressed in Empress and Emperor's attire (or was it that WE get to dress up?) and we can enter for FREE since it is PH. Changgyeonggung was built in 1418 for the living former queens and later extended to a regular palace as new buildings were constructed. 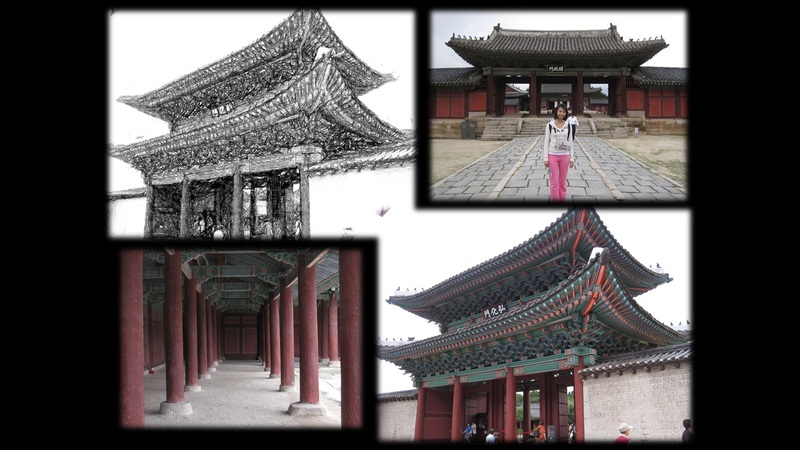 Together with Changdeokgung, it was called East Palace. 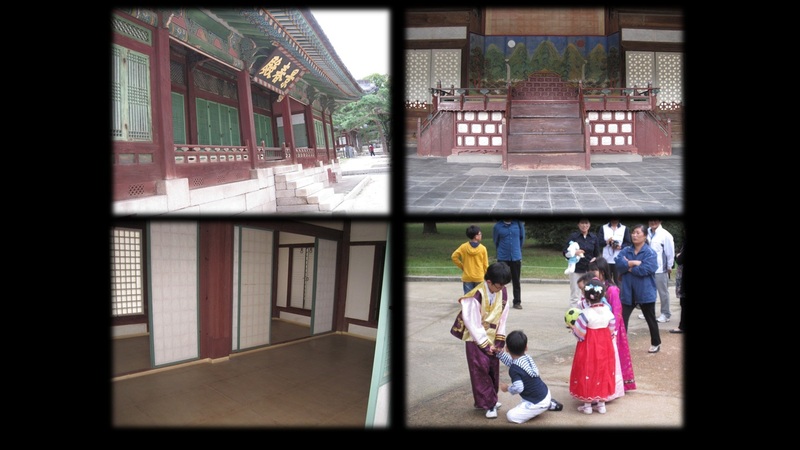 As other palaces in Joseon, it went through wars, upheavals, and conflagrations. In particular, it was turned into a zoo and botanical gerden by the Japanese. Since 1989, the place has been fully restored to its former glory. I eat, check my mails, update facebook, catch up on MSN... that's alot of things. And yes, making up can take me sometime IF i want to be fussy...well, heard of the term, "no ugly woman, only lazy woman"? I guess i have started to realise that all palaces look alike cos it is the truth... The only difference is the size and probably the type of gardens and ponds they have available in THAT palace... this one is like a miniature palace meant for ladies to stay in... the park behind is relatively small, but still, it was a nice walk! While i sat in the service, I have received a "revelation"... Previously, i have been asking God to send someone to "invite me" to their place for Chuseok so i won't be alone...on this national holiday whilst everyone else in my house goes back to their hometown...(anyway, that didn't happen). The impact only came when i arrived and saw everyone in their clusters... my heart was like - RIGHT... so what do i do now? Grab my food and just sit in a corner? (That was my plan. Afterall, i can just leave) Or should i be more thick-skinned and take the initiative to sit around with random groups of people? I think God heard my thoughts and just within a few seconds, after that thought, a lady named Mary popped up from nowhere and started talking to me. Although she left shortly after, i had grabbed my food by then and it was even more awkward to leave; so plan 2 came into action, where i randomly found an empty space next to a caucasion lady and sat next to her... they were in a group, but they looked friendly.. and they were! The service started and ended quickly and time just flew by... And as i sat there, the light bulb came on for me - that in fact, God DID answer my prayer, about having someone invite me to their house. Not only that, i am so blessed tat TS gave me free Korean tuition by sitting infront of me and being a talking human dictionary... So needless to say, i think my homework this time will come back with excellent scores! As a reward for completing my homework (actually, i see it as MY reward - hahaha - but they had already planned to watch a movie "home theatre" style anyways!) We set up the "theatre" at home and started watching Evelyn Salt .. And for those who dont already know the ending... please dont watch it is you hate shows that have no conclusions....There was no lack of tidbits and fruits... we feasted all night! And i live in the hot spot area... I choose to believe i am probably the "bless-i-est" student in class!